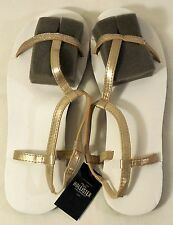 Hollister Floral Flip Flops Women's Size Small 7/8 ~New~. Shipped with USPS First Class Package. Beautiful classic look. I will try to answer them the best I can. No smoking anywhere on our land. Great with jeans, dresses, shorts, skirts, or whatever you like! Rubber-covered leather sole. The model pictures are simply to show style. Beautiful classic look. I will try to answer them the best I can. No smoking anywhere on our land. Great with jeans, dresses, shorts, skirts, or whatever you like! Upper: patent leather. This shoe is size small which on the bottom sticker is 7/8 so I am assuming they will fit size 7, 7.5, and 8. Beautiful classic look. I will try to answer them the best I can. No smoking anywhere on our land. Great with jeans, dresses, shorts, skirts, or whatever you like! This shoe is size small which on the bottom sticker is 7/8 so I am assuming they will fit size 7, 7.5, and 8. T-Strap Flat Sandal. Elastic Classic Fit. (examples: cords, cables, manuals, batteries etc. Soft rubber footbed. ). Still in GREAT CONDITION! Amazing shoes, comfortable and super cute! Size 8. Beads are a really cute feature! Don’t forget to check out my other listings! 9.38” foot length. NO EXCEPTIONS! -item: 3546840483208. -sku: 631522702. 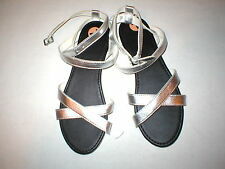 New Hollister womens sliders size L, label says size 8/9 but fits a 7. Tags taken off to try on with socks. Not worn brand new. Brought for holiday but never used. Immaculate condition. 9.38” foot length. NO EXCEPTIONS! -item: 35468404712084. -sku: 630513193. 9.38” foot length. NO EXCEPTIONS! -item: 3546840471676. Product Details -sku: 630513290. 9.38” foot length. NO EXCEPTIONS! -item: 3546840483176. Product Details -sku: 631522745. 9.38” foot length. NO EXCEPTIONS! -item: 3546840481914. -sku: 631307068. 9.38” foot length. NO EXCEPTIONS! -item: 3546840471608. Product Details -sku: 630513151.